Deutsche Bank, the leading client-centric global universal bank, has announced a major gift in support of the University of Oxford China Centre. 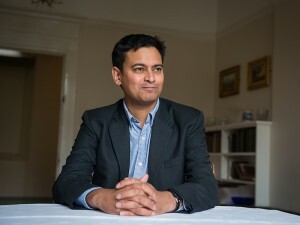 The gift will support the Deutsche Bank Director of the China Centre, a position currently held by Professor Rana Mitter. The Royal United Services Institute is delighted to announce that the 2014 Duke of Westminster Medal for Military Literature has been awarded to Rana Mitter for his book China’s War with Japan 1937-1945: The Struggle for Survival, (Penguin). 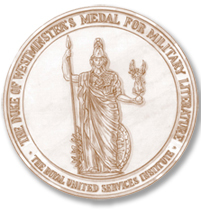 First awarded in 1997, the Medal is bestowed annually for the best book in the English language by a living author, regardless of nationality, gender or age, which represents in the opinion of the Awarding Board a notable and original contribution to the study of international or national security, or the military professions. Margaret MacMillan, The War that Ended Peace: How Europe Abandoned Peace for the First World War (Profile Books). Previous winners of the RUSI Duke of Westminster Medal have included Anne Applebaum, Sir Lawrence Freedman, Sir Max Hastings, Antony Beevor and Sir Hew Strachan. Read the original story on the RUSI website. Graduate students from various universities are invited to participate at the Fourth Oxford Graduate Conference on Contemporary China on 22-23 May 2015. This conference, entitled “The revival of ideologies in contemporary China—an interdisciplinary call of ‘bringing ideology back in’ ”, is jointly funded by the University of Oxford China Centre and the Antonian Fund of St. Antony’s College, University of Oxford. The one-day conference will be held on Saturday, 23 May at Oxford. On the evening of Friday, 22 May, there will be a specially featured roundtable discussion during which prominent China scholars will offer their thoughts on the theme of the conference. All conference participants are invited to the discussion. Speakers in the previous roundtable discussions included Prof. Patricia Thornton, Prof. Rosemary Foot, Prof. Vivienne Shue, Prof. Jeffrey Wasserstrom, etc. 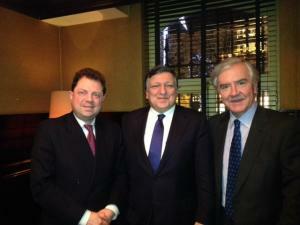 Read more on the dedicated web page of the Conference. Submission deadline: 23 March 2015. 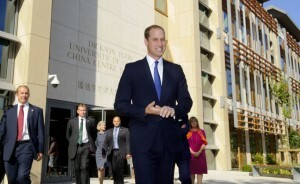 The Duchess of Cambridge had been due to accompany her husband to Oxford. However, it was announced on the day of the opening that she is pregnant with her second child. Kensington Palace said she is suffering from acute morning sickness and so would be unable to attend.